So you have probably noticed some screenshots in the previous article on VR development tips that might look like a game already in development. I’ve also been talking about VR quite for a while now. Truth is — yeah, a small team inside Pixonic has been hard at work for these few months developing a singleplayer side project in VR based on War Robots universe! We have decided to call it War Robots VR: The Skirmish. Our goals with this project have defined its scope. We see it as the first intro chapter to the whole War Robots VR installation. With this being our first take on VR ever, we didn’t go for a long full-blown game. Instead, we opted for kind of a short playable teaser. And good news is — it will be distributed on a number of platforms for free, more on that down below! I don’t feel it would be fair to spoil plot details right ahead, so let’s just say you will have to find out what brough you and your squadmate to a city torn by war. You are piloting a large robot equipped for recon and warfare. 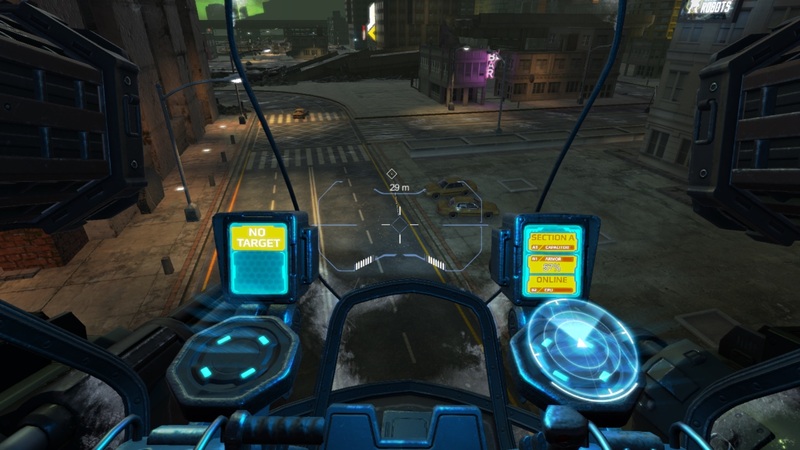 Sitting in the cockpit, you’ll be able to check and monitor various readings while having next level of control over your mechanical avatar. 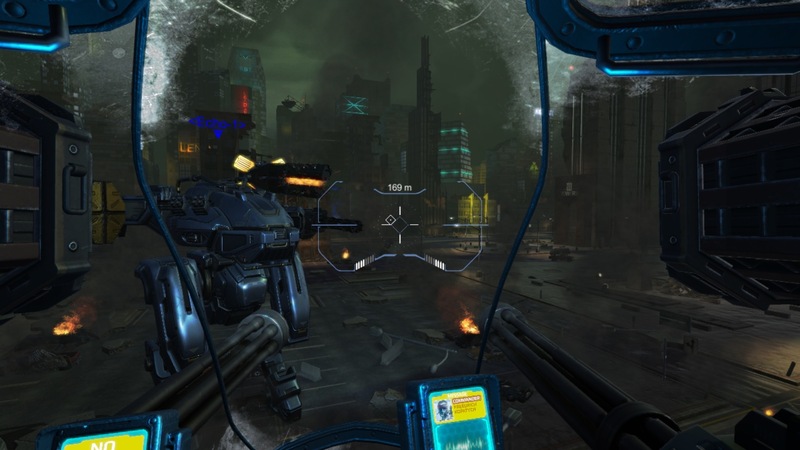 The gameplay is pretty much a classic first-person action shooter with pace being appropriate for giant war machines. With the atmosphere we have gone for a little darker look and overall feel — all to better convey the whole concept of post-apocalyptic time and all-out war. Aside from being interested in the hot new tech and trying to develop with it, we felt like it would allow us to bring the players a new level of immersion and let them virtually sit inside the robots they’re so used to playing on their mobile devices in third-person. It’s one thing seeing someone pilot a Formula One car, totally different thing doing that yourself. So we wanted everyone to have a chance to experience what it feels like — to pilot a massive robot designed for waging war. 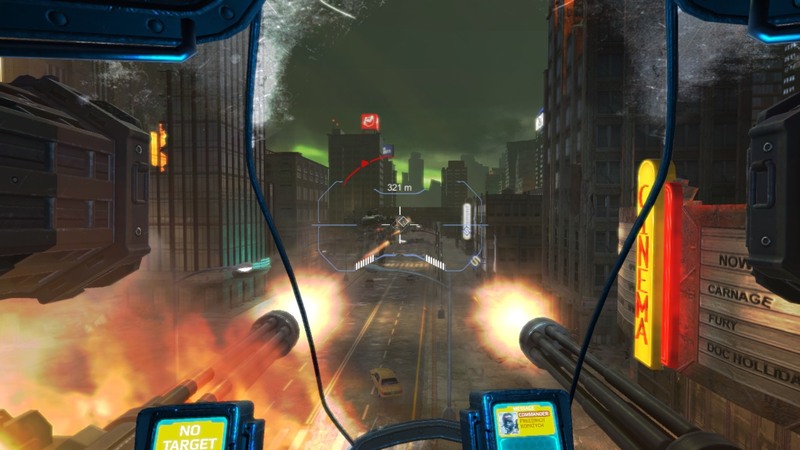 We will offer two options of experiencing War Robots VR: The Skirmish — a 360 gameplay video and a free VR game. Once the product is released you should be able to find the video on YouTube and Facebook while the game will be published on Steam and Oculus Store. We will announce it on War Robots and Pixonic pages on Facebook this July. For the gameplay video you will only need a smartphone with YouTube/Facebook app or a laptop with any browser other than Safari (it doesn’t support 360). For the game the requirements are a gaming PC with enough power to drive VR (at least GTX 970 / R9 290), a VR headset (HTC Vive or Oculus Rift) and a gamepad (or keyboard, but we recommend the former). Obviously, you’ll also need Steam / Oculus app installed to be able to go to the store and download the game for free. I’ve already stressed how not being able to sync your physical and virtual self in a VR game might pose a problem with motion sickness. 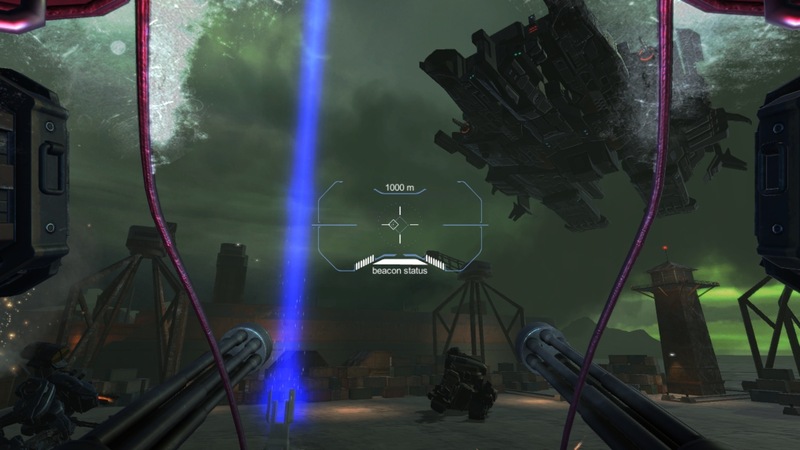 Since in our game you’re supposed to be sitting inside the cockpit and moving in the virtual space by controlling the robot all the while remaining where you were in the physical space, that presented some risks. What we did to mitigate it was tinker with the control scheme until every single person we tested the game on was able to complete it from start to finish. The best scheme wasn’t an obvious one — in fact, it was the counterintuitive one! However, it did the job and almost negated the undesired effect. Objects look differently in virtual reality and we had to take that into account when designing the HUD, level, models, textures and visual effects. We couldn’t just take any level from our mobile game and load it into our VR game — the way it felt in virtual reality was totally different from what we were trying to achieve. So we had to build the level and everything for it from the ground-up. I’d like to say thanks to the team that worked on WR VR: The Skirmish — you guys made these few months a blast. To all the players — I hope you’ll enjoy what we secretly worked on all this time! See you on the battlefield, then?